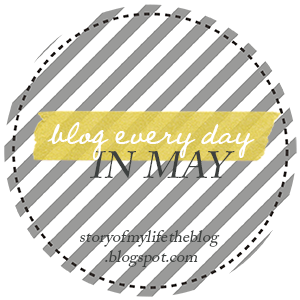 For day 16 of the Blog Every Day in May Link Up, I'm supposed to tell you about something difficult with my "lot in life" and how I'm working to overcome it. Here goes! The biggest difficulty I'm facing right now is of course my unemployment. This is the third time I've quit a job to move somewhere for Mike and the third time I've had to struggle to find jobs I actually want to apply for. Yet again, we're living somewhere that is relatively small and without a lot of industries other than the government. With sequestration going on, the government isn't really hiring so that has closed a lot of the jobs I've applied for and there really isn't much else around here to apply for. When I venture outside our area and apply in DC, I'm now competing with a huge group of people and I usually get overlooked. The biggest problem is that I've been trying to apply for jobs I actually want; that can become careers. I haven't caved and started applying for receptionist or retail positions yet, but it's getting tempting as we round on 6 months being unemployed. I want to actually like my job, crazy as that is. 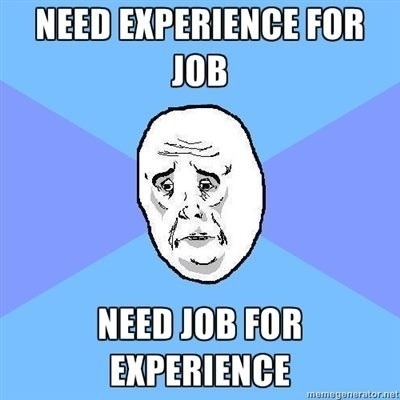 The problem lies in the fact that these jobs I want, I don't have enough experience in so I don't get considered. So basically, if you don't choose your career in college and work in that field the whole time you're in college, you aren't getting a job in it later in life. I'm 30 and trying to find my career. It's hard as sh*t.
The way I'm trying to overcome this difficulty is by applying for unpaid positions to help me get experience while I look. Yesterday, I accepted an internship that I think will be great for my resume and possibly turn into a paid position in the future. I've also been sending writing samples around to local people looking for unpaid writers. Anything to get experience and show that I've been doing something with my unemployment. BUT we'll see how it goes. I've given myself until month 9 of unemployment before I start applying for soul-sucking receptionist jobs. Wish me luck! Good luck! I can imagine that it can be very difficult to keep searching and looking but it seems tat with your positive attitude you will find one in no time! Thanks Jordan! I'm definitely trying to stay positive! Good luck with your job search! It is very difficult at the moment but if you keep trying and pushing for a job, something HAS to come up at some point - stay positive! Thank you so much Phyllis! I love hearing stories like this, so inspirational!! That's a long time to be un-employed and longer it goes the harder it is to find a paying job. A few blogs back I hit one talking about the jobs she wanted vs the jobs available. Take a job, because you need a job, then keep looking. We don't all have the ability to get a dream job without doing some things we'd rather not do. This seems to be a new common situation. Work is work, work pays the bills, it isn't always suppose to be fun and games. Being unemployed vs having a job...should be the primary focus, not finding a job that makes you feel like you landed on the moon. I'm old enough to be your Mom and can tell you from years of experience, it's always easier to get a job when you're currently employed. Partially...it shows you willing to work to the person doing your interview. Best of luck. I agree on one hand, but I also have been in interviews where I've been told it looks bad to have jobs on your resume you stayed at for only a short period of time. I'm not the kind to take a job I don't want, lie in the interview and tell them I'm going to stick around and then ditch them as soon as I get a better job. I'm not looking for a job that makes me "feel like I landed on the moon" or that I feel is "fun and games." I'm trying to find a job I can like and not dread going to. this is the first time in my life I have the opportunity to strive for that and I'm not going to let it pass me by. 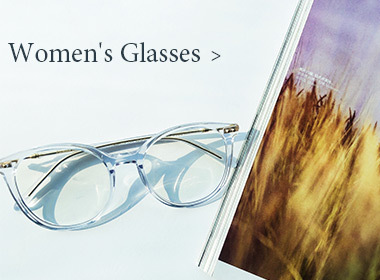 Thanks so much for reading.